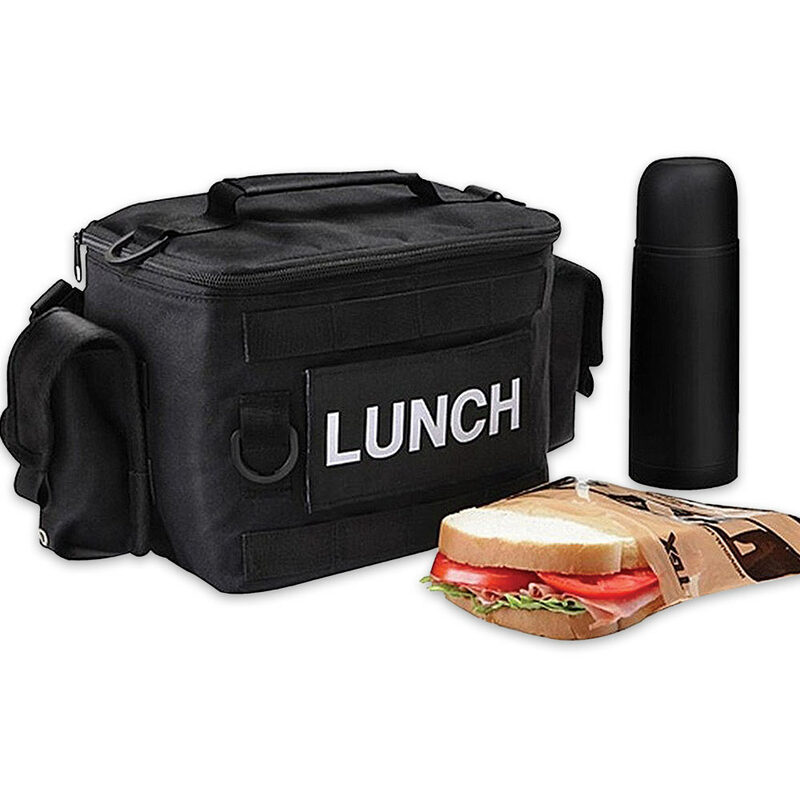 Tactical Lunch Box With Thermos | BUDK.com - Knives & Swords At The Lowest Prices! When the zombies attack, the last thing you need to worry about is hunger because your growling stomach will definitely give you away if you're hiding! 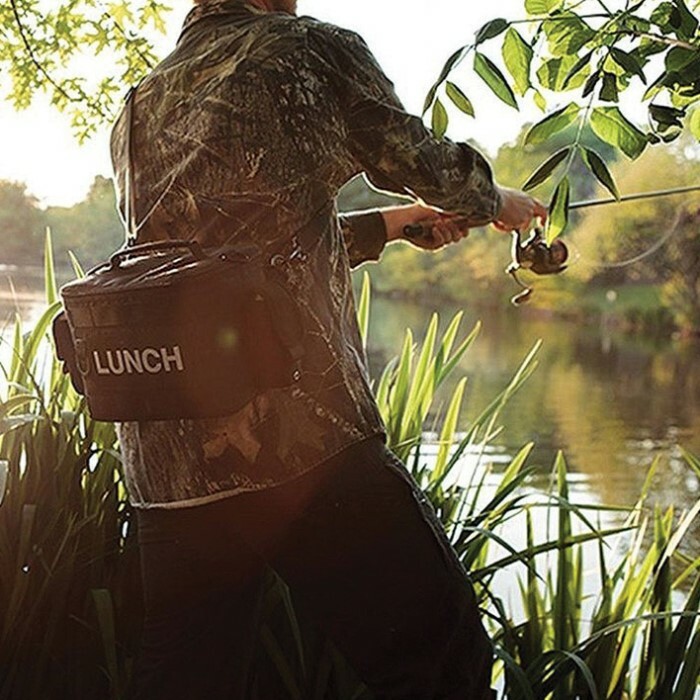 If you'll be taking your lunch into extreme conditions like outdoor adventures, war, or the zombie apocalypse, the Tactical Lunch Kit is your bag. Made of durable Cordura 500D nylon with waterproof interior padding, it has back surface MOLLE webbing and two smaller pouches for emergency snacks or condiments. It features a top strap for quick grab-and-go, 3 plastic D-rings, a removable shoulder strap that adjusts from 15" to 28" and a waterproof lining. The box comes preloaded with a Tactical Nourishment Pack, resealable snack pouch, and a 12 oz. matte black thermos.